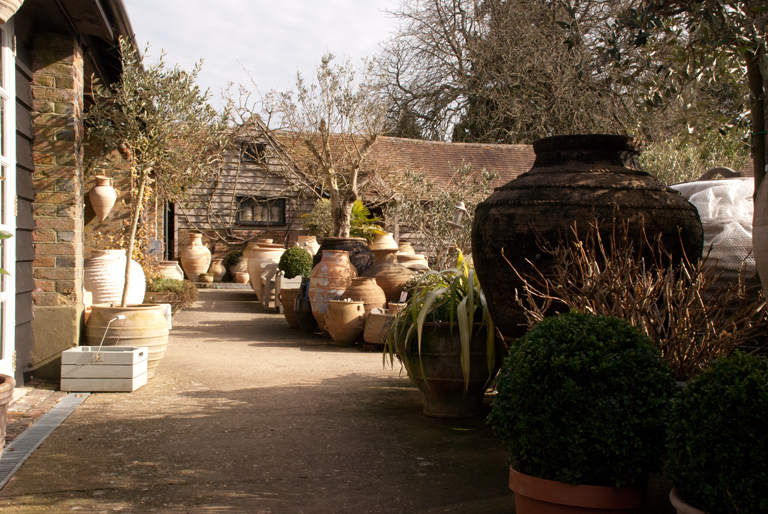 I spent a wonderful morning last Friday at Pots and Pithoi in West Sussex. 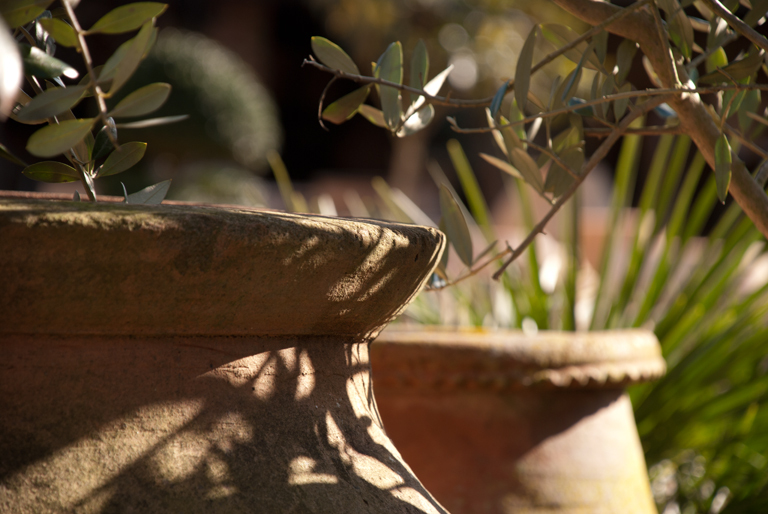 I love everything about it, the beautiful old buildings and courtyard, the gorgeous gifts and homeware and, most of all, the amazing Cretan pots and urns that they are famous for. Many moons ago I lived in Greece and I’ll never forget the first time I stood by the Parthenon at the Acropolis…so beautiful and grand and breathtaking. Eventually my passion for classical art led me to study Ancient Greek History and it still makes the hairs on the back of my neck stand up. 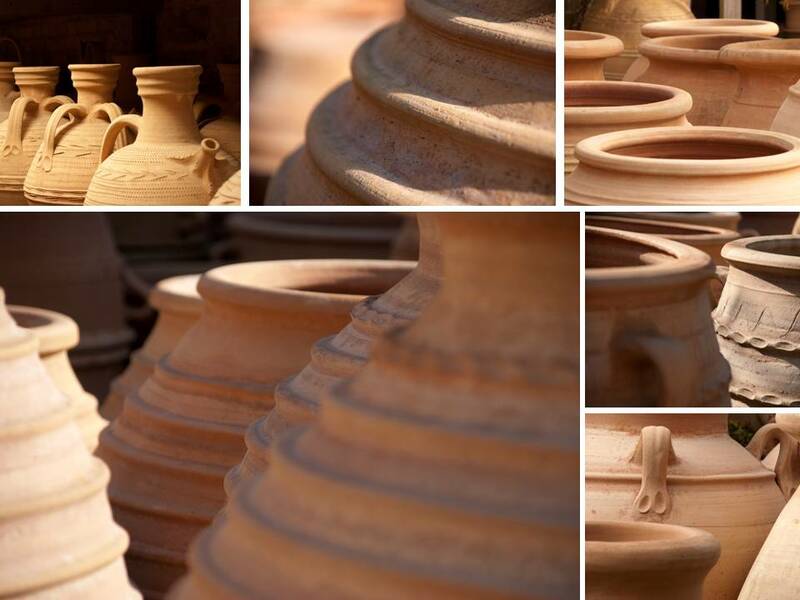 I received a very warm welcome from owner, Tara Bowles, who simply oozes passion for what she does and prides herself on working with family businesses across Crete who still make clay pots and urns in the traditional way. 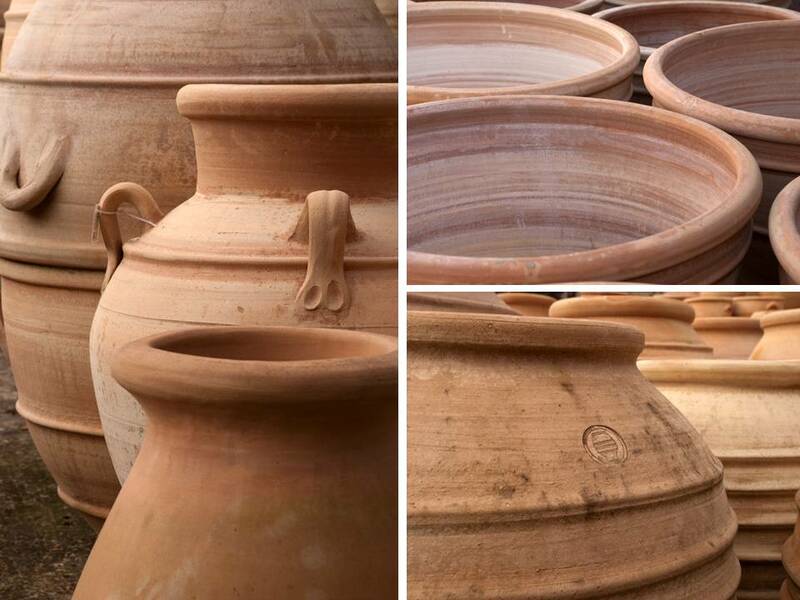 Each pot is individual as it is hand thrown using top grade clay and fired using olive stones and grape pips to fuel the kiln. The pots become burnished with smoke and flames as the temperature in the kiln reaches an incredible 1150°c and are then left to cool in the kiln for 7 days. 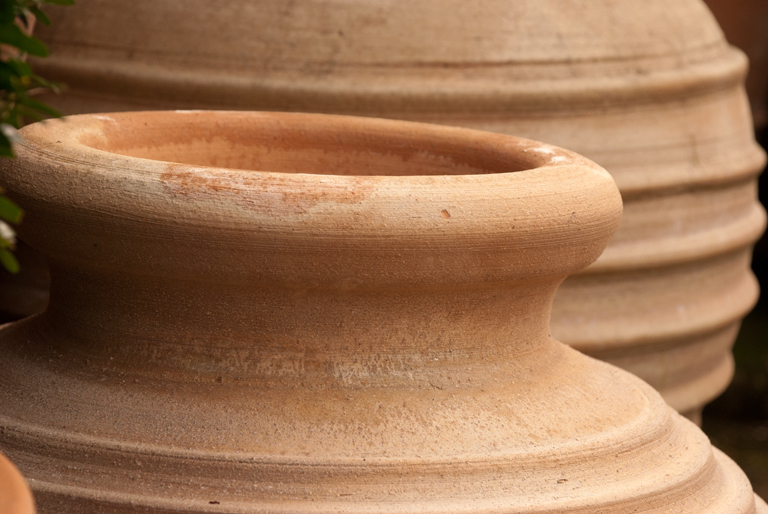 This method goes back to the early Bronze Age when urns and pots were used to store and transport goods such as oil and grain. 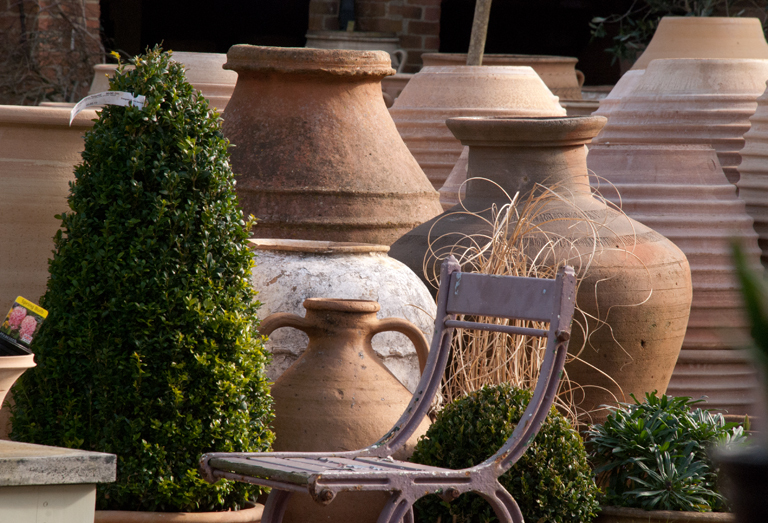 I have a large Pots & Pithoi urn in my garden which is placed as a piece of art, a focal point from the kitchen window. The range of sizes, styles and shapes is vast and I remember it taking me forever to choose which one I wanted to buy. It’s a wonderful place to visit for inspiration and the staff couldn’t be more helpful, pulling out individual pots and urns so that you can see them as an unique pieces. You can see the difference in their colour and texture in the picture above, compared to the beehive urns in the background behind them. 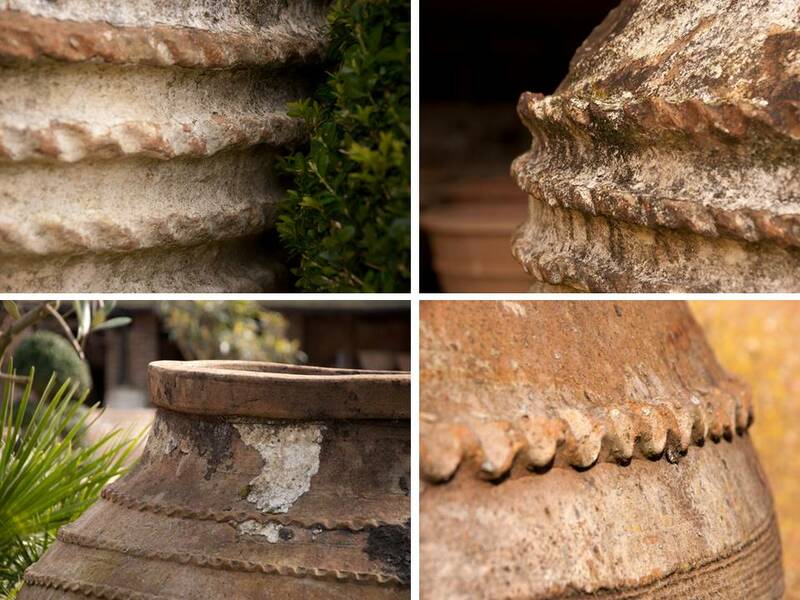 The range of pots and urns are also available as water features and in the summer these are displayed in a small but lovely courtyard garden which is full of plants and flowers. The Indoor living range is gorgeous too – a great place for gifts for yourself or others and an amazing range of woven rugs. Tara often provides tea, coffee and cake to her visitors and she has created a snug little room in which people can sit back and enjoy the surroundings. She told me of her plans to change one of the pot stores into a cafe serving mediterranean style food and good coffee and cake – it sounds wonderful. I would urge you to take the time to go and visit…you won’t fail to be inspired, it’s gorgeous there – but go with purse in hand because even if you can resist one of the pots, I suspect you’ll find it impossible to resist buying something in the shop! I suddenly realised that a lot of your posts does not have a comment. It surprised me because you have such a good website. I read every post you publish. I am garden design student in Norway. Your blog is a great supplement to the tutorials. My excuse for not commenting is that English is not my language, but as I said I read all your post and enjoy them very much. A wonderful blog. The photos are amazing. I must go and visit – the promise of a cup of tea and some cake with Tara sounds lovely! Thanks for you lovely comments Jackie. You definitely have to visit – it’s a wonderful place full of charm and gorgeous things! I was there on Monday. 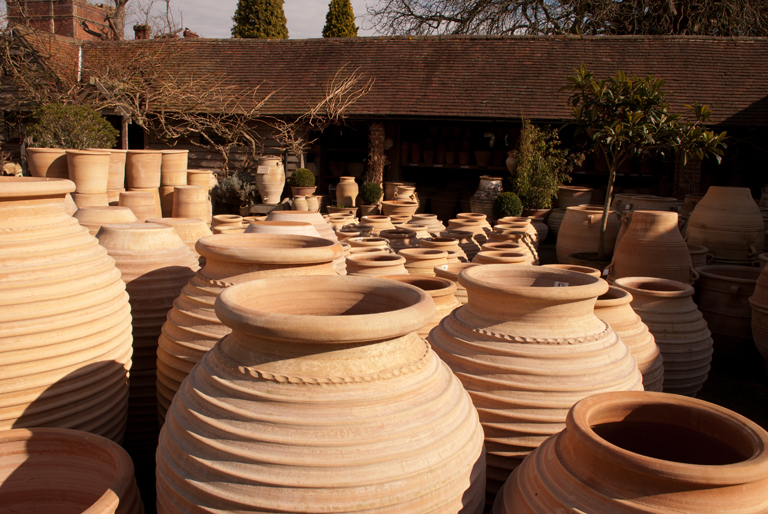 Pots and Pithoi has a new owner- David Dodd from The Outdoor Room. Love the pots, love the coffee shop and gift shop. Great sale on at the moment with up to 70% off…. too good to resist.